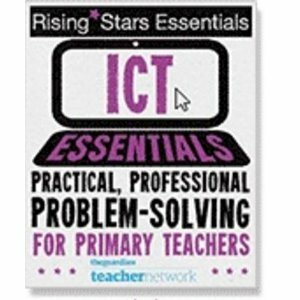 This is the first of many BETT posts that I am going to be writing, it’s been such a busy weekend that I’ve only just had time to go through and add photos etc to the blog posts! So, to start with, Day 1. The day we took the children. 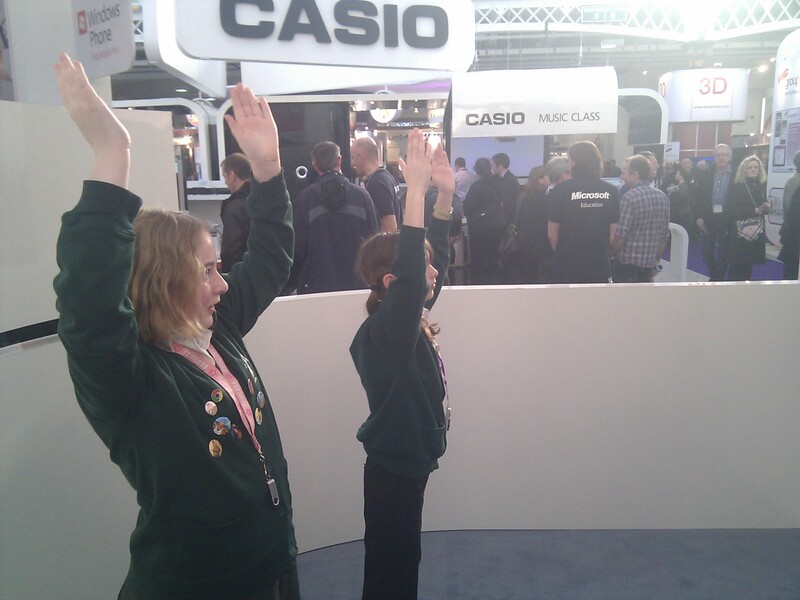 I’ve been to BETT a number of times, a few as a trainee teachee and a few as VLE consultant and once last year as a teacher but I had never taken children until this year. 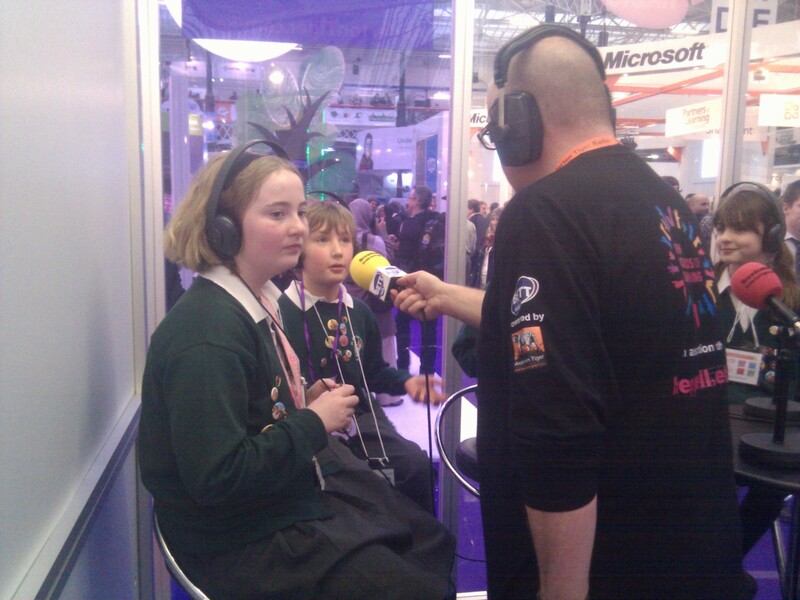 I thought it would be great for them to experience the sorts of exciting ICT that could be used and to as a reward for their hard work with the Digital Leader project. 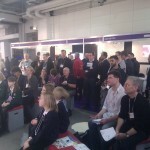 If nothing else, I had planned on doing some Teachmeet Takeover-style presentations but in the end we were invited to present on so many different stands that we had to turn some down! I could have accepted them all, but I thought it was important for the children to have time to wander and explore the show as well. So who to take? The Year 5 boys were obvious choices. 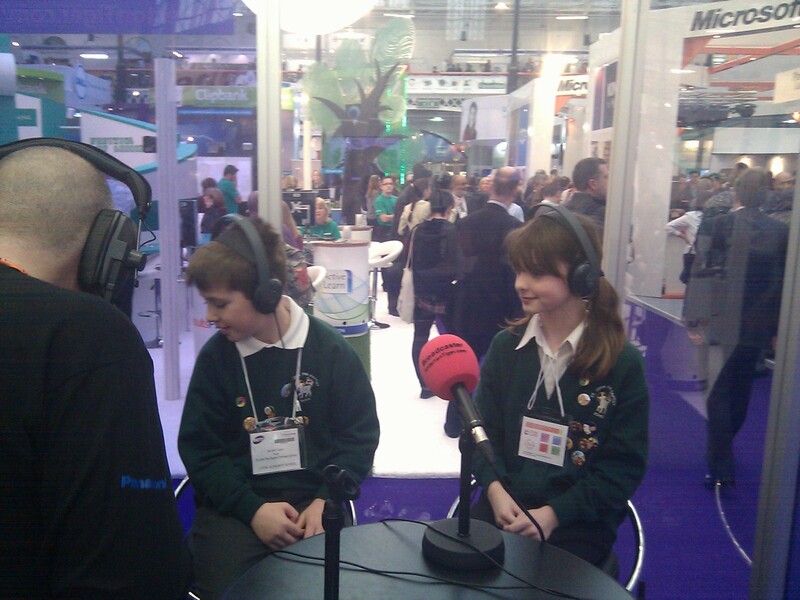 They have presented at a headteacher conference and at a local Teachmeet and they have showed that they can ‘blag’ it and present confidently without the need of a script at all. One did make some notes but he didn’t need them. choosing other children was a bit harder because there were so many we could have picked. 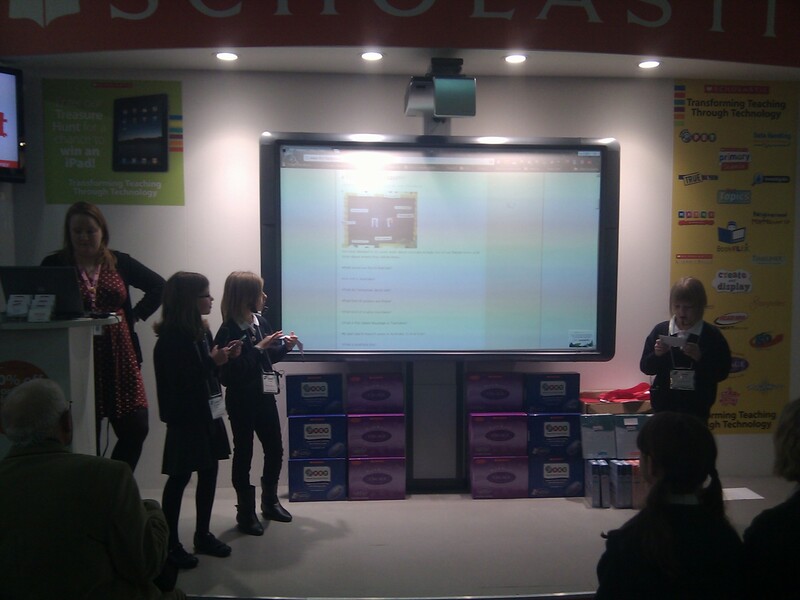 In the end we were asked by Google to present on their stand so I chose the two girls that had been using Google Sites to make the newsletter FYF. 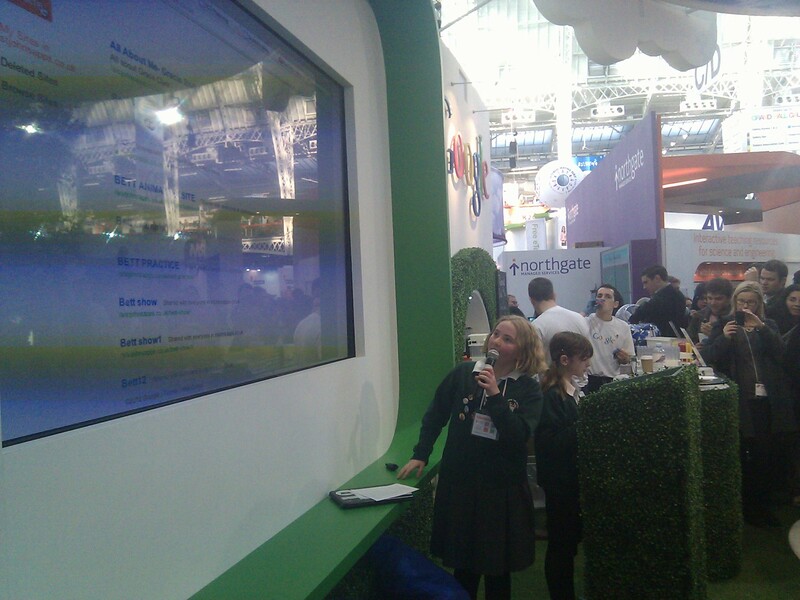 In the end the plan was to have a TeachKidsmeet Takeover on the Scholastic stand, the girls to present for Google and then I was asked to present on the Brother stand about the use of Digital Leaders in the primary school. We spent a few weeks preparing presentations although this mainly consisted of them doing it and me checking they were OK every now and again. It wasn’t until the day before that I heard both presentations for the first time. I have faith in my children. What was the worst that could happen?? 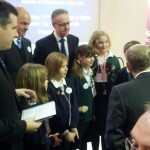 So, we set off to BETT on the Wednesday and we went with some Digital Leaders from Titchfield Primary as well as their teacher, Charlie, and some other Heads and teachers from local schools. 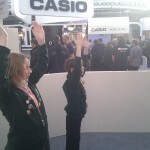 Upon arriving the children were blown away by the sheer size of BETT. I had told them and I had shown them pictures but I don’t think they were prepared for the size of it! 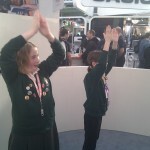 Firstly, I introduced them to the key stands to find in case they got lost such as Scholastic, Google, 2Simple and Brainpop. These were all fairly central and easy to find. They also had bright colours which helped! 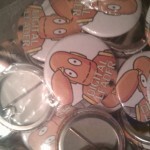 On the way we of course managed to collect some freebies such as chocolate from Espresso and some badges from Brainpop. 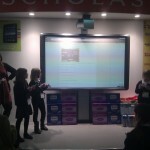 I had already discussed the free things at BETT and the children were fantastic throughout the day. They always asked if they could have things and used their manners too. Unlike the MANY teachers who just took things from the show! One memory is of one of my boys waiting patiently to ask a lady on a stand if he could have a chocolate while a teacher from another school (I looked at his badge) came and took a huge handful! 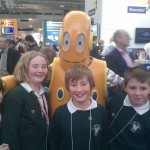 While on the Brainpop stand we of course met Moby the robot which set the day off to a great start. 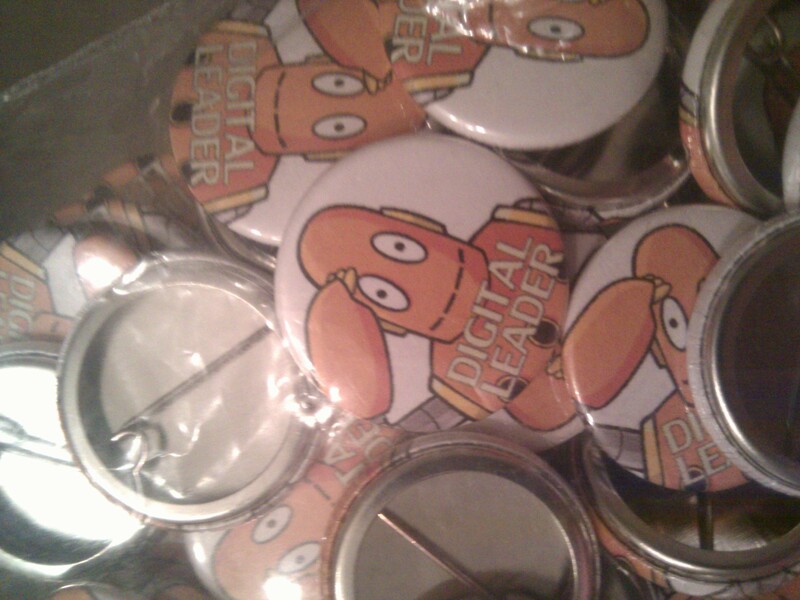 We also collected the Digital Leader badges that Brainpop had made especially for us too! We wore them with pride for the rest of the day. In fact, the children haven’t taken them off at all yet! 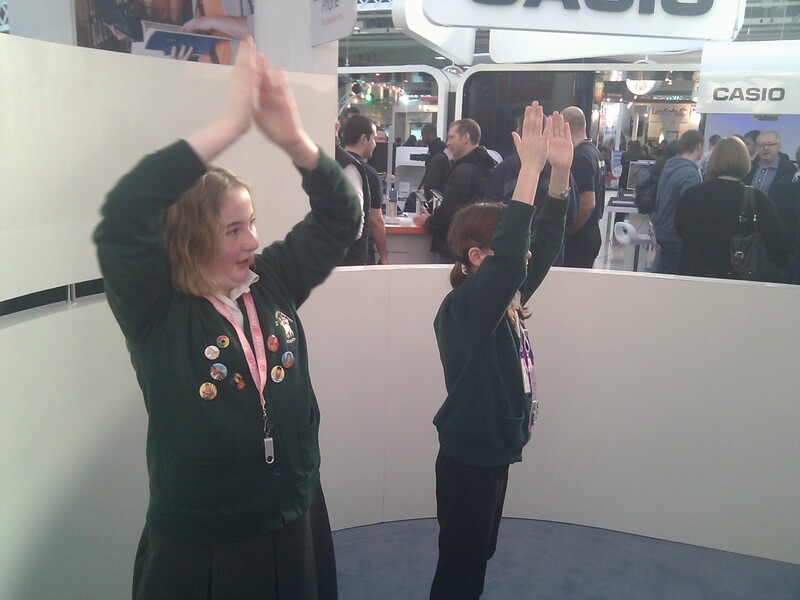 Before our presentations we managed to have a quick chat with Andrea Carr who sponsored the very first (paper-based) issue of FYF and then we had a play on the Kinect on the Microsoft stand. 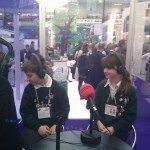 In the morning the boys presented on the Scholastic stand. 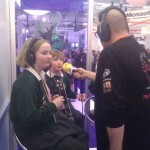 They were on after the Tichfield children who were discussing blogging. 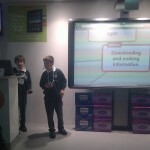 We then followed this up by talking about Digital Leaders and our use of free tools such as Animoto. 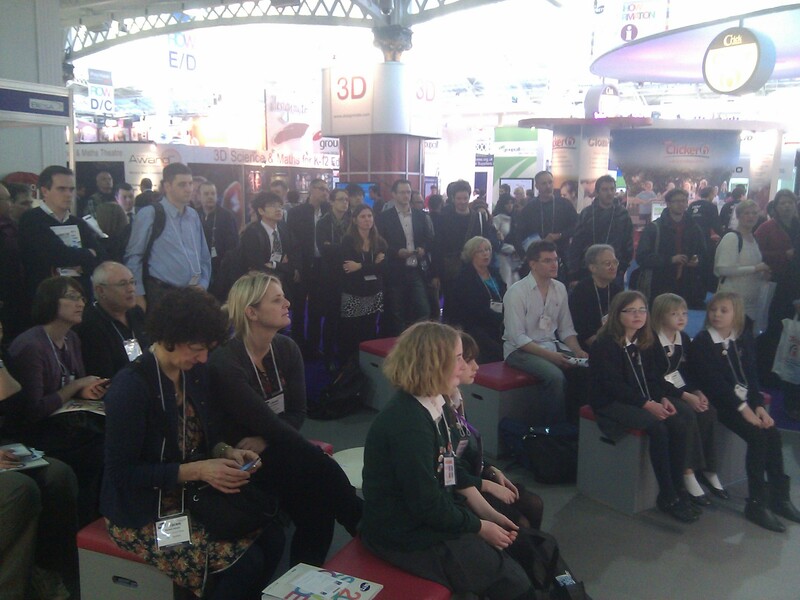 I tried to take photos not just of the presentation but also of the crowd that gathered. This started small with just 4 or 5 people when Titchfield began but with persuasion, coaxing and the cuteness factor of having children, the crowd grew and grew throughout the half hour we were both on stage. 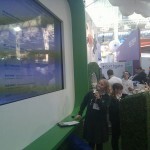 Not long after we had finished we headed over to the Google stand. 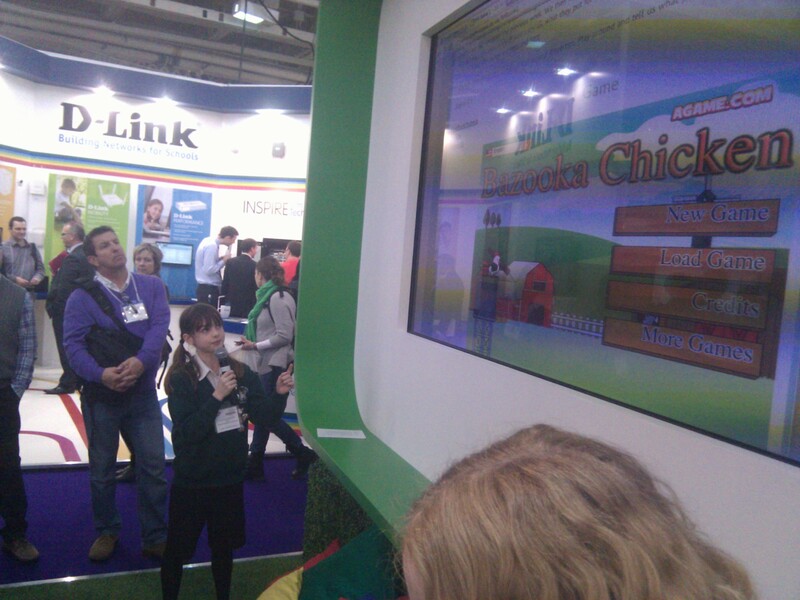 Now Google had never been at BETT before so there was a fair bit of excitement surrounding their stage and it was VERY busy. 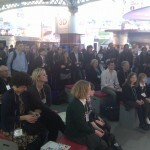 I had made the decision the day before to introduce the children and give a 3-4 minute talk on Google Sites. This would give the children a chance to relax a little and they seemed to benefit from this. One of the last comments I made before handing over to them was on the sheer number of cameras and phones pointing my way. I counted the Google video camera as well as at least 8 cameraphones! 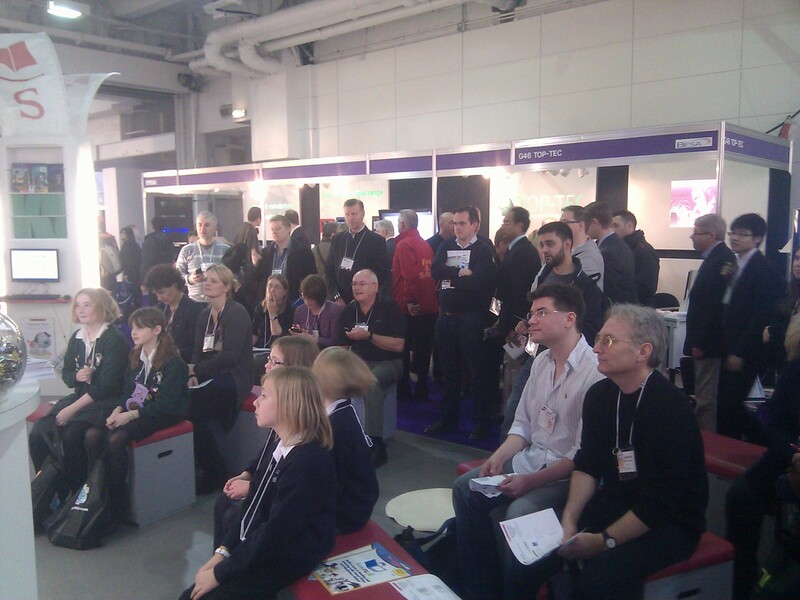 Nerve-wracking for any presenter! Check out that crowd!!! 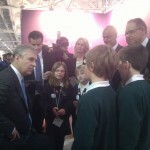 I’ll say this again a few times in this post, but the children were amazing. The girls had never used a Mac before and were a bit thrown when it came to right-clicking or copying and pasting but they managed brilliantly. 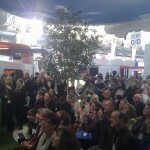 We were inundated with praise in person and on Twitter throughout the day. I think that they did an amazing job. After a spot of lunch I thought it would be good to go and see the wonderful Russell Prue and see his radio station. I thought he’d interview us but I didn’t think it would be live. 2 minutes later. 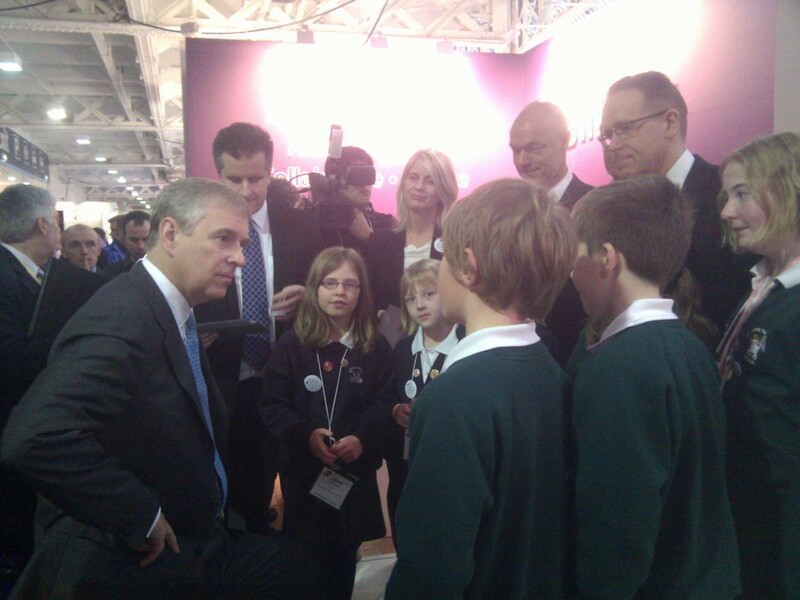 The children were (once again) amazing and when asked what they thought of Gove’s speech about ICT, they replied with comments saying that ICT wasn’t boring and was actually quite good fun. They also spoke eloquently about the face we do use and teach Microsoft software but we also use free things like Google, Popplet and Prezi too. The interview was recorded so I will share that once we have the recording. 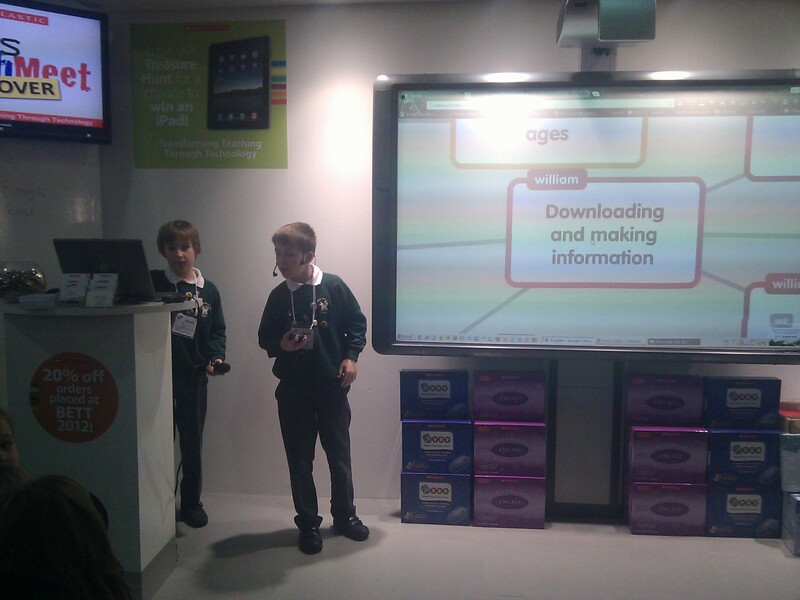 In the afternoon I presented on the Brother stand about the Digital Leaders and I probably should have got them to share it, but they were happy exploring their new bags and seeing which sweets and goodies they had collected! Our last stop was a quick visit to the Uniservity stand to see Susan Banister and Lara Savory as I knew they had some plant seeds for the children. Whilst there we got a phone call from Charlie saying that Prince Andrew was on his way and we were needed for some handshaking and meeting/greeting! 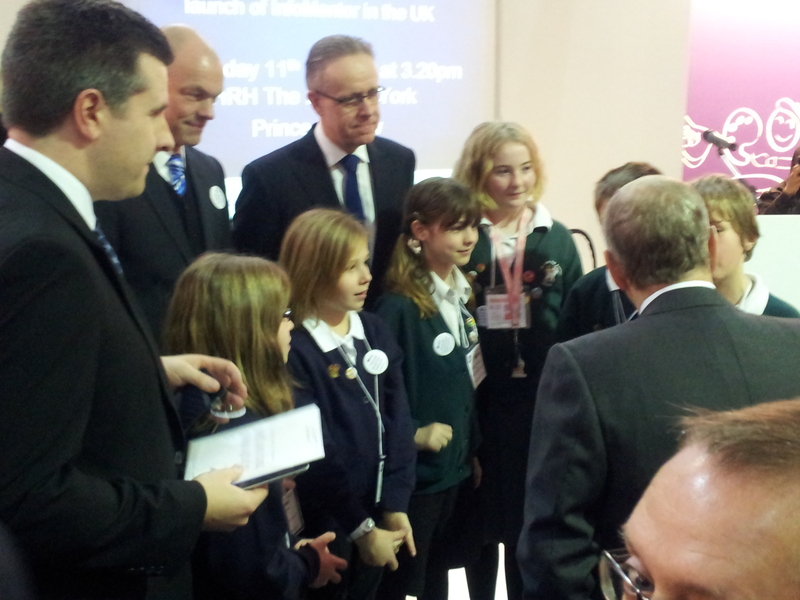 So we ran through Olympia and made our way to the stand to meet the Prince. 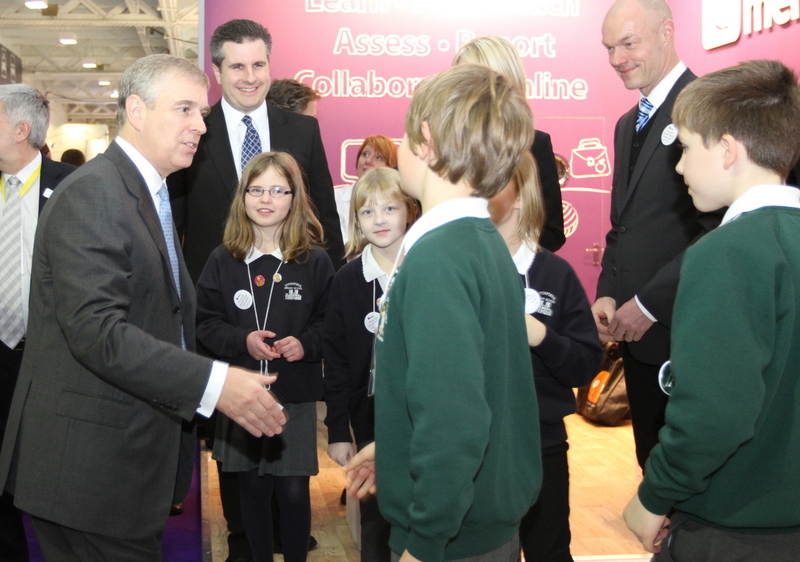 He was there to launch some assessment software but I don’t think he had ever seen it before. 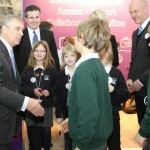 But hey, the children got to chat to a Prince for 15minutes or so. 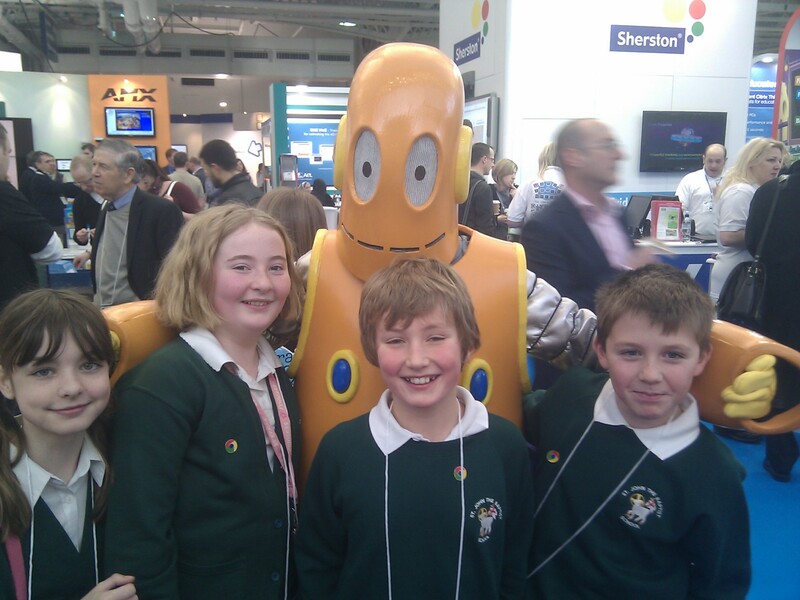 Although when Charlie asked her children what was their highlight…they said meeting Moby!! 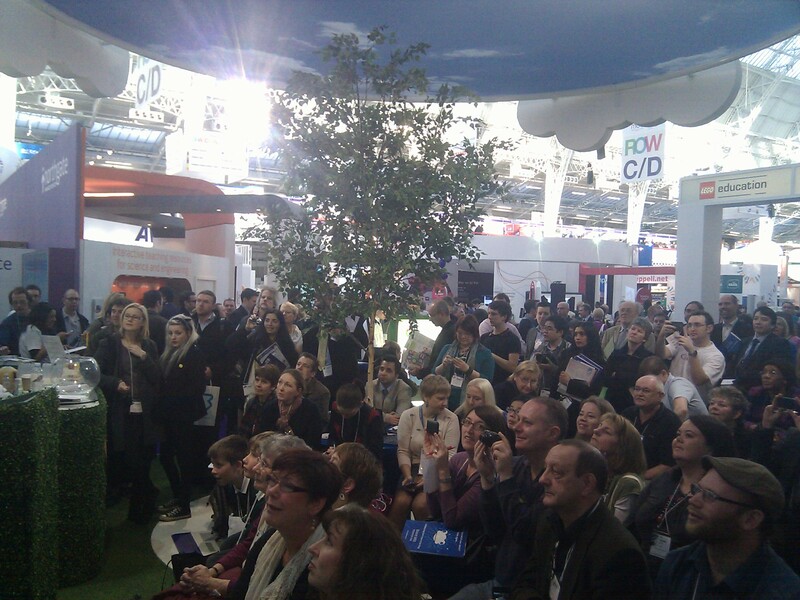 Looking back, I can’t believe just how much we managed to fit into one day! No wonder I felt shattered for the next few days!!! 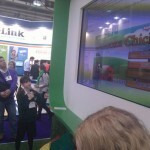 The children were incredible and they have blogged about it here and here.